In a move designed to provide the Fellowship of Grace Brethren Churches (FGBC) with continuing leadership, Tom Hocking has resigned as moderator of the fellowship and asked Bob Fetterhoff, pastor of the Grace Brethren Church, Wooster, Ohio, to complete his term. The Fellowship Council, the leadership team for the FGBC, has accepted Hocking’s resignation and concurred with his recommendation by appointing Fetterhoff to the moderator’s position. Hocking’s 2010-2011 term as moderator had been considered transitional. “With gratitude to God for giving Bob the willingness to advance that transitional agenda more quickly, I resigned as FGBC moderator effective January 1, 2011,” Hocking said. Jeff Bogue, pastor of Grace Church, a Grace Brethren Church in Akron, Ohio, will continue in his role as vice moderator, serving alongside Fetterhoff for the next six months. As a result, the 2011 national conference will be re-shaped to highlight Fetterhoff’s vision, according to Hocking. 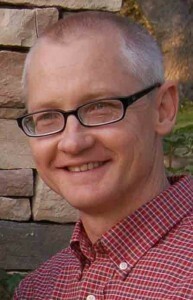 The Fellowship Council will nominate Bob Fetterhoff to serve the FGBC as moderator beginning August 2011. This action, including the term duration, will be finalized at the January 2011 meeting of the Fellowship Council. Hocking, who was born in the Central African Republic to Grace Brethren missionaries, is pastor of the Bellflower Brethren Church in Bellflower, Calif.